While Nokia Lumia 435 isn’t just the affordable Windows 8.1 phone, there is iBall coming out with a new phone. 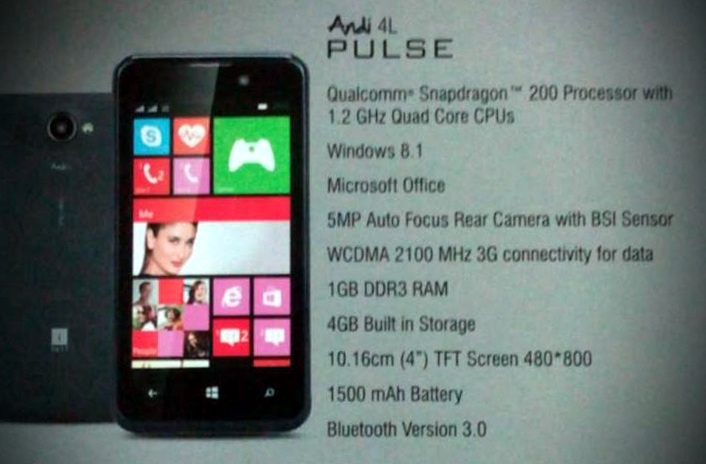 iBall Andi 4L Pulse is introduced as the iBall Windows 8.1 phone available at under Rs 5,000, Rs 4899 to be precise. 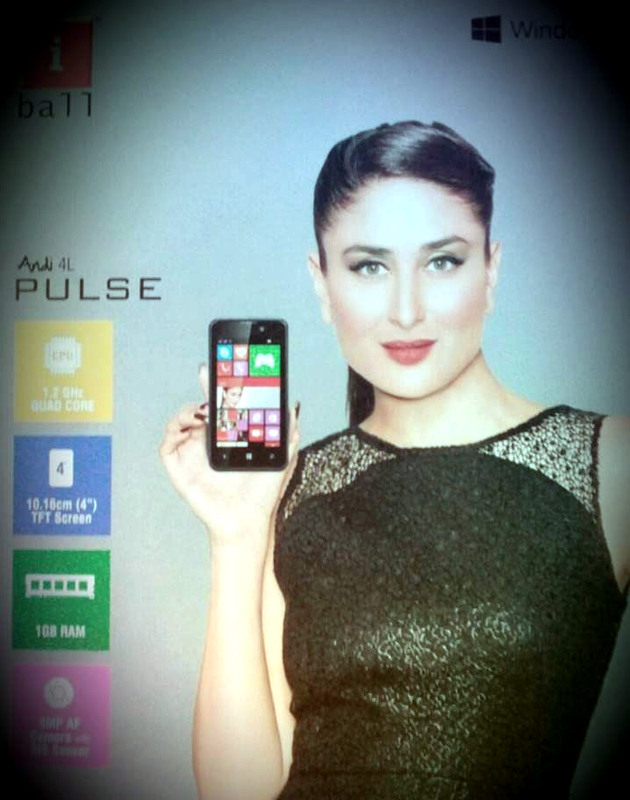 The gorgeous Kareena Kapoor promotes iBall Andi 4L PULSE and commercial ads will be soon aired in India. As the name implicates, it’s a 4 inch smartphone with WVGA resolution as powered with Qualcomm Snapdragon 200 processor. There is 5 mega pixel rear camera with LED flash and BSI sensor and comes with dual SIM support with 3G connectivity. iBall Andi 4L Pulse will be soon launched in India at a price tag of Rs 4899.